Rugby in the United States is on a progression fast track and is set to enjoy further growth at a grassroots level through a New Zealand rugby experience that has been delivered around the world for nearly 40 years. 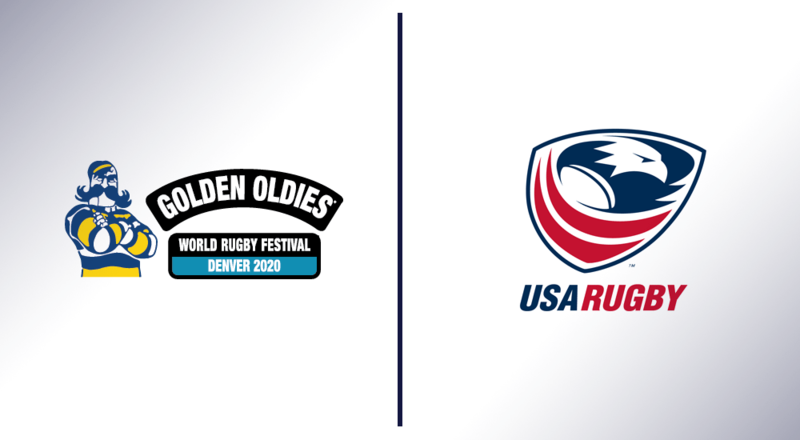 An agreement between New Zealand-based Vintage Sport and Leisure (VSL) and USA Rugby will see the introduction of Golden Oldies Rugby, as it comes to Denver in 2020. The agreement will also see the introduction of the World Schools Rugby Challenge which, along with the establishment of Golden Oldies Rugby, will help increase participation and awareness with community and youth rugby in the United States. The partnership, supported by the Rugby Business Executives Association (RBEA) and Visit Denver & the Denver Sports Commission, will additionally reinforce United States development as a major market in the global rugby community, further expanding on the sports commercial potential. USA Rugby CEO, Ross Young, says the sport in the United States is all about one word - growth. "Evident of the Rugby World Cup Sevens success, the United States is beginning to see real movement in the development of the game on a global stage," said Young, "Our agreement with VSL is key to continuing that trajectory and achieve targets in the club and youth programs." New Zealander Adriaan Ferris, a former representative player and current Sports Director at a Life West University in San Francisco says community and youth rugby in the United States is capable of growing to the level of that in his native New Zealand. "Events which VSL will introduce and manage in the United States will provide an organized structured sport for those who want to remain in the game to enjoy not only playing a sport they love but the camaraderie and community involvement it brings," says Adriaan. As part of its partnership with USA Rugby, VSL will establish sanctioned USA Golden Oldies (Masters) Rugby Series divisions for teams and players in the World Rugby-endorsed age brackets of 35+, 45+, 50+ and 60+. The event will support the consolidation of mature rugby in the United States and will establish a range of regional and local rugby festivals compatible with Golden Oldies and incorporate existing tournaments that wish to join the circuit. VSL will also introduce the World Schools Rugby Challenge offering United States high schools the opportunity to participate in rugby tournaments that aim to encourage increasing numbers of 13 to 19-year old athletes to play the sport. VSL CEO, Simon Brady, says his company is delighted with the agreement and exciting growth opportunities it provides. "It has been a long journey. We started discussions with USA Rugby about three years ago and we could not be more delighted that the 23rd World Rugby festival in our worldwide movement will be held in Denver in 2020, signaling a key milestone in the global growth of the Golden Oldies and vintage/veteran rugby movement." The USA Rugby program will be managed on behalf of VSL by San Francisco-based Lloyd Gilmore. "Lloyd has been on the ground for VSL in the USA for more than a year and has been instrumental in bringing the partnership together," says Simon. RBEA Founder George Henderson noted, "The mission of the Rugby Business Executives Association (RBEA) includes community and economic development by engaging rugby professionals. We are excited by this alliance to demonstrate how through collaboration, we can grow the sport at all levels." The agreement with USA Rugby follows recent informal endorsements from the Welsh and English Rugby Unions with upcoming regional festivals scheduled for Cardiff and London and, according to Simon, is a fitting way to mark 40 years of Golden Oldies Rugby. Founded in New Zealand in 1979, Golden Oldies Rugby started as a way to keep people in the game after their competitive playing days had finished. The combination of participation, sociability and travel that has become the hallmark of Golden Oldies Rugby has resulted in a phenomenon that now reaches into more than 25 countries. Originally owned by Air New Zealand, the Golden Oldies brand was purchased by VSL in 2012.